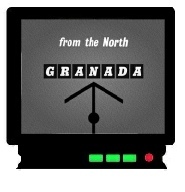 World in Action was an investigative current affairs programme made by Granada Television from 1963 until 1998. It covered the subject of offshore radio in two programmes, one shortly after the launch of Radio Caroline and the imminent start of Radio Atlanta in 1964 and another just after Radio Caroline had defied the Marine etc Broadcasting (Offences) Act and continued broadcasting in 1967.
featuring interviews with Ronan O’Rahilly and Jocelyn Stevens. This episode profiled the man behind Radio Caroline - Ronan O’Rahilly. It was filmed and screened shortly after Radio Caroline had defied the Marine etc Broadcasting (Offences Act) and continued broadcasting in 1967. The World in Action team themselves defied the law to film on board the Radio Caroline South ship, Mi Amigo in September 1967 and in doing so posed a legal problem for the authorities as one of the first media challenges to the new Act (see press cuttings in News Stand, left). British television news documentaries about offshore radio from its inception in 1964 to the defiance of Radio Caroline in continuing to broadcast in 1967 after the Marine etc Broadcasting (Offences) Act had been introduced.